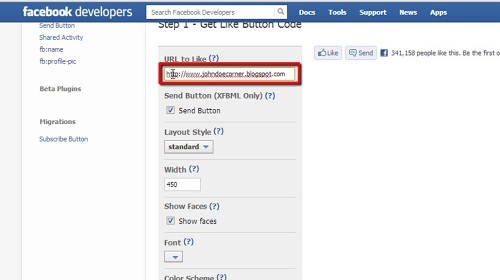 In this tutorial, you will learn how to insert Facebook like button on Blogger. 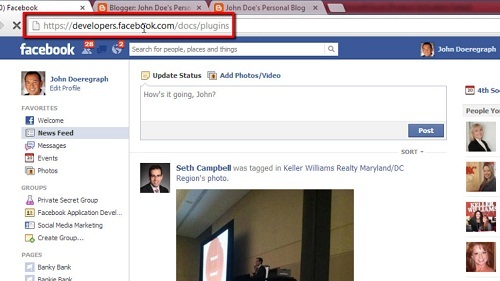 To begin, make sure you are logged into your Facebook account, then type the following URL into your browser’s address bar: “https://developers.facebook.com/docs/plugins”. Click on the Like Button link, which is the first plugin shown. Next, enter the URL of the web page you would like to add the like button (most likely your blog’s homepage) into the “URL to Like” box (be sure to use the full address, starting with http://www. ), un-check the “Send Button” box unless you are experienced in Java, choose from the three layout styles, and then choose your remaining options. 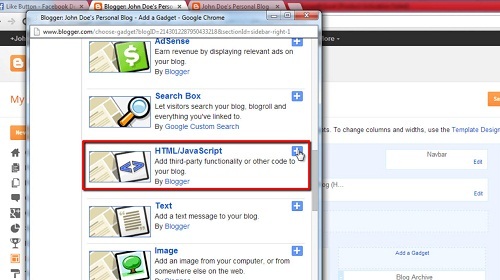 Now, click the “Get Code” button (if you chose HTML5 or XFBML, there are two and three, respectively, sets of code; if you choose IFrame or URL, there is only one string of code), then open your Blogger account dashboard (make sure you are logged in) in another window. In the left-hand navigation bar, choose “Layout,” then click on the “Add Gadget” link (there may be more than one – click on any “Add Gadget” link and you can move it where you like later). 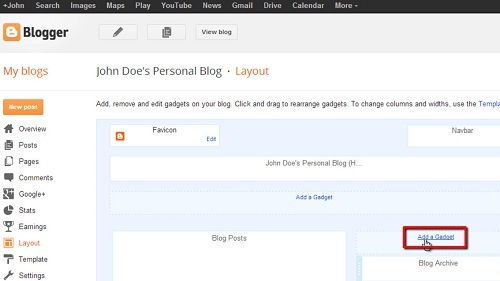 Well done, you now know how to insert Facebook like button on Blogger.